Under new legislation that came into force in April 2017, UK employers are required to publish their gender pay gap. We have a gender pay gap in the UK and other major markets because we have fewer women than men in senior roles and in businesses where the market rates of pay are highest. The gender pay gap compares the average pay of men and women, without taking into account some of the key factors which influence pay. When we adjust our gender pay gaps for job level and business area, the gaps are close to zero. To ensure men and women are paid equally for doing the same roles, we conduct equal pay assurance as part of our annual pay and performance review process. To help address the gender pay gap, we have a plan in place and we are committed to increasing the number of women in senior management roles. "Diversity and inclusion is a critical lever for business success as it enables teams to unlock innovation, make better decisions and manage risk, and enables the Bank to deliver our purpose and business strategy by serving our diverse client base better." There are two different concepts to consider when looking at gender pay. The ‘gender pay gap’ compares the average pay of men and women, without taking into account some of the key factors which influence pay, including different roles, skills, seniority and market pay rates. 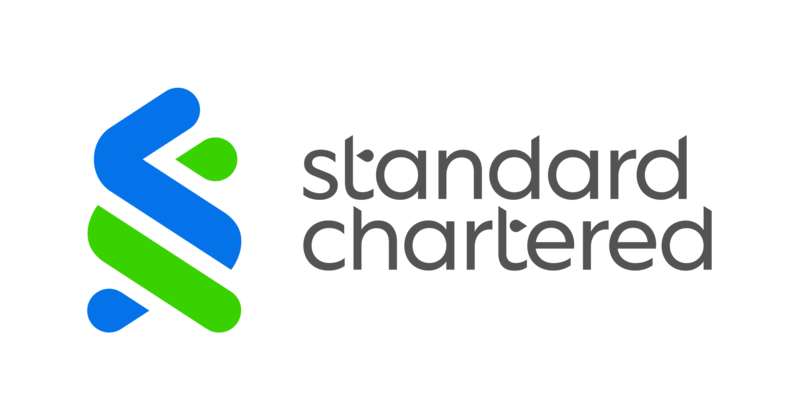 The primary cause of the gender pay gap at Standard Chartered PLC and Standard Chartered Bank (collectively the “Group”) is the proportionately lower number of women than men in senior roles and business areas where the market rates of pay are highest. ‘Equal pay’ is a more detailed measure of pay equality than the gender pay gap. It compares the pay of men and women who are doing the same roles. The Group is committed to providing equal opportunities and does not discriminate based on an individual’s personal characteristics, including gender. Pay and performance outcomes are reviewed by gender as part of the Group’s normal annual performance, pay and potential review process globally. The details of our 2017 gender pay gap are set out below. We have gone beyond the legislative requirements by publishing our 2016 gender pay gap, as well as details for some of our other major markets. Women account for 46% of our colleagues globally and 43% of the Management Team. Two of our four regional Chief Executive Officers (CEOs) are women, as are our CEOs in China, Colombia, France, Hong Kong, India, Ghana, Lebanon, Luxembourg, Nigeria, the Philippines and Singapore. However, there is a lot more we need to do. Currently 26% of our senior management roles globally are filled by women. This is why we signed the Women in Finance charter in July 2016 and have pledged to have women occupy 30% of our senior leadership roles by 2020. Our gender pay gap is primarily caused by the proportionally lower number of women in comparison to men in senior roles and business areas where the market rates of pay are highest. The bonus pay gap is larger than the hourly pay gap for the same reasons. There are proportionally fewer women than men in roles where a higher proportion of total remuneration is delivered in variable pay. What is our UK gender pay gap? Under new legislation that came into force in April 2017, UK employers are required to publish their gender pay gap. The gender pay gap has been calculated using the approach required by the regulations, which compares the pay of men and women. However we recognise that a spectrum of gender identities and expressions exists. Figures 1 to 3 below show our gender pay gap in the UK and have been prepared in line with regulatory requirements. The mean hourly pay gap has reduced from 34% in 2016 to 30% in 2017 as a result of our ongoing commitment to increase the proportion of women in more senior roles. The mean bonus pay gap is 57%, reduced from 58% in 2016. The table below shows our mean (the average of all male colleagues compared to the average of all female colleagues) and median (the mid-point of all male colleagues compared to the mid-point of all female colleagues) hourly gender pay gap and bonus gap for 2017 and 2016 in line with the UK requirements. The table below shows the percentage of male and female colleagues in the UK who received a bonus for 2017 and 2016. Fixed pay has been ranked highest to lowest and split into four equally sized groups (quartiles). The table below shows the distribution of male and female colleagues across each of the quartiles in 2017 and 2016. What is our gender pay gap across the Group? We operate in over 60 countries and are committed to making progress on gender diversity Group-wide. The gender pay gaps which exist in four of our major markets are shown in the table below. What is the gender pay gap for men and women at the same level and business area? The gender pay gaps shown in Figures 1 to 4 compare the pay of men and women without taking into account the factors which determine the equality of pay, including seniority and business area. When we compare the pay of men and women at the same level in the Group, the average hourly pay gap reduces to 9% in the UK. When we then compare men and women at both the same level and in the same business area in the UK, the gender gap reduces further to 3%. This 3% exists due to differences in the types of specific roles at the same level and in the same business areas. The same trend exists in other markets, as shown in Figure 5. Our vision is to create a culture of inclusion where talents and individuality are valued and respected, where everyone is given the opportunity to excel and develop and where our colleagues represent the communities we serve. Diversity & Inclusion has been part of the Standard Chartered culture for many years. We are proud of the progress that we have made to date, but recognise that there is more to do. We are committed to work to ensure we have an industry where women feel included and where they can contribute their best. We signed the UK HM Treasury Women in Finance Charter in 2016. While the Charter is a UK-led initiative, we have broadened our commitment globally and pledged to have women occupy 30% of our senior leadership roles by 2020. Our performance scorecards include measures to improve diversity within our senior management teams. This means that the variable remuneration of our senior leaders is impacted by the progress made on gender diversity. We have implemented flexible working practices globally to ensure all of our colleagues have the opportunity to choose how they work, whether that is part-time, flexible time, working from home. We have also increased the benefits we offer new parents globally. We increased fully paid maternity leave from a minimum of 40 days to a minimum of 20 calendar weeks. Fully paid parental leave for the spouse or partner increased from a minimum of 2 days to a minimum of 2 calendar weeks. We have built requirements into our processes and policies to ensure that managers are making objective and fair decisions, including gender balanced candidate lists for hiring. We review promotion lists and succession plans to ensure we have adequate representation of women and have not overlooked any female talent. We have also started to review the tone and language used in our job descriptions and internal communications to introduce gender neutral language, whenever possible and appropriate. We have Group-wide training available on unconscious bias and have introduced content specifically targeted at managers to minimise bias when it comes to decision making. We also provide role-based training to equip teams in support of our Diversity & Inclusion agenda. We have introduced a safety and security initiative to provide further support to female colleagues living and working in countries with a history of heightened violence against women. First piloted in India, this programme includes self-defence training and a one-touch response mobile phone application to enable women to feel safe and confident to continue on with their careers and stay in the workforce. During 2017 we have developed a Fair Pay Charter, which sets out the principles which guide all of our reward and performance decision-making. One of these principles is our ongoing commitment to rewarding colleagues in a way that is free from discrimination of any kind, including on the basis of gender. Equal pay analysis and assurance by gender is part of our normal year end remuneration processes and outcomes are reviewed by the Human Resources function, the Management Team and the Board Remuneration Committee. We have launched the Global Women’s Network to serve as a platform for sharing ideas on how to improve gender diversity and collaborating across our footprint. Some initiatives under this network include women’s mentoring programme, seminars from senior leaders and a toolkit to provide countries with support in developing a local network within their country. Improving gender balance in business starts with providing girls across our communities with the ability and confidence to embark on a career. Through a combination of sports and life skills training, our Goal programme aims to empower and equip adolescent girls with the confidence, knowledge and skills they need to be integral economic leaders in their families, communities and societies. Between 2006 and 2017, Goal empowered over 381,000 girls across more than 20 markets. More than 2,500 girls received work readiness training, and 411 girls secured paid roles as a direct result of participating in the programme. From 2015 to 2017, more than 4,900 alumni took up leadership roles as Goal champions, helping to empower and educate the next generation of girls. The gender pay gap will only disappear when we have an equal proportion of men and women at every level of the organisation and in every business area. We are committed to addressing gender diversity and acknowledge that this will take time and hard work. I confirm the data provided is accurate.